Team U of T got to the Super8 just before the racers’ meeting. Here, Todd is talking about the helicopter in the lobby of the Super 8. The Racers’ meeting is now in the Civic Center, having outgrown the Super 8 conference room. 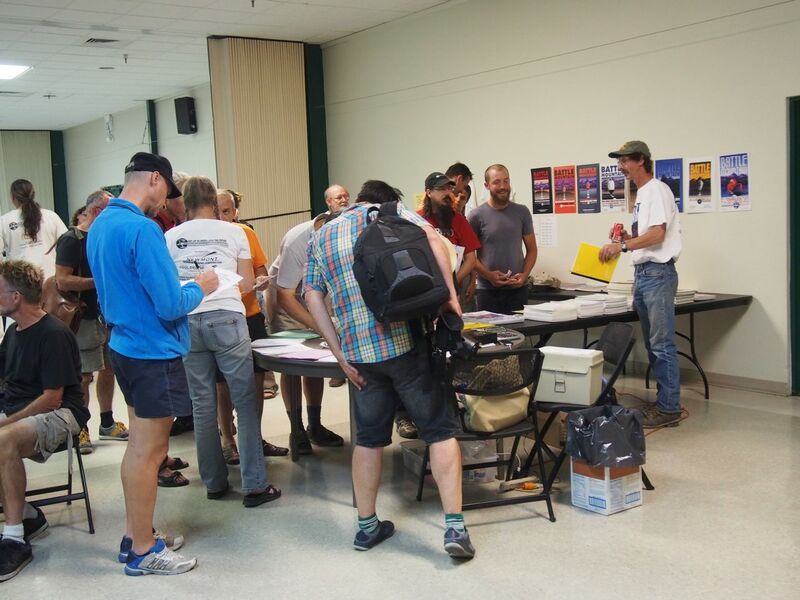 The registration / merchandise area. A thrill to see Mr. Graeme Obree in blue. 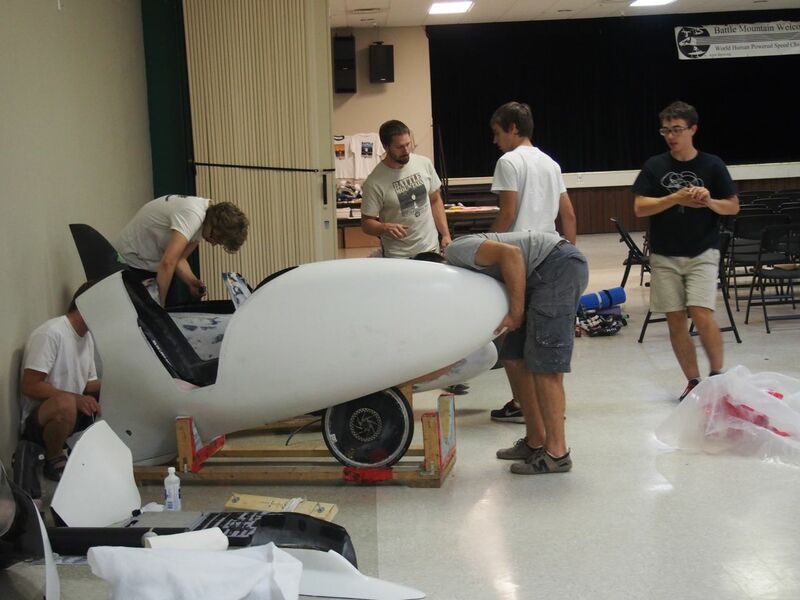 Delft/Amsterdam have taken up residence in a corner of the Civic Centre with Velox3 and a spare fairing. Team U of T preps their bikes for tomorrow. 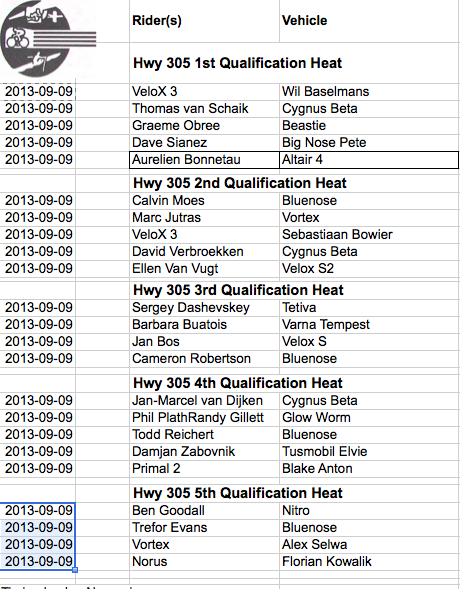 There will be five heats of qualification tomorrow morning, with 23 rider/bike combinations scheduled to run. Time to get excited! Start order for the morning, with the first heat going off at about 7 am. Here’s hoping the weather treats all of you kindly, not too hot and little or no wind. Looking forward to some fast times, and maybe some WRs? Good luck . I will be watching keenly. We hope everybody has a very good week! We also hope the Dutch HPV team from Delft and Amsterdam will set a new worldrecord! !